Freshman pitcher JT Hibschman secured the second victory of his young collegiate career with a 4-3 win over DeSales, following a 6-0 win over Eastern last week. With four games on the calendar, Wilkes broke even with a 2-2 week, securing a win against Eastern to finish their three-game series 2-1 and falling in two contests against DeSales to lose their series 2-1. After splitting the doubleheader against Eastern last week with a 6-0 victory and an 11-10 loss on Sunday, March 24, the Colonels looked to finish their series with the Eagles in a nine inning contest on Wednesday in St. Davids, Pa.
On a night that proved to showcase senior second baseman Jack Fischer, the Colonels capped off their series against Eastern with an 8-2 victory. Fischer, who couldn’t have chosen a better game to reach his 100th career hit, went 4-4 with a walk and proved to be a guarantee for success in the two-hole. To kick off his stellar night, Fischer singled to right-centerfield in the first inning. Senior Nicholas Capozzi walked and the two moved into scoring position on a wild pitch. With junior Brandon Reno in the four-hole, his power earned him a double down the left field line, scoring both Fischer and Capozzi to give the Colonels an early 2-0 lead. The Colonels and the Eagles appeared to go back-and-forth in a game of small ball, but Wilkes broke open in the top of the seventh when Fischer, who went 4-4 with a walk, doubled down the right field line. Wilkes closed out the final inning of play by stretching their three-run lead to six runs. Reno finished the game 3-5, and Fischer led the three-game series against Eastern with his stat line. Going 6-12 with two walks, Fischer proved to be the Eagles’ Achilles heel, allowing the Colonels to win the series. Senior Noah Durnin kept the Eagles in check on the mound for seven innings, having five strikeouts and only allowing four hits and one earned run. After defeating Eastern, the Colonels fell in two out of three contests against DeSales. On Friday, Wilkes suffered a substantial blow with an 11-4 loss, just two days after beating Eastern. Before injuring his hand and being out for the rest of the series, sophomore Nicholas Pronti made his presence known with a lead-off home run to start the second inning. Singles to left field by Reno and sophomore Jonah Harder in the bottom of the third demonstrated Wilkes’ attempt to tighten up the gap DeSales had created, making the game 7-3. “On Friday, we were flat. Eveybody played a little too tight and the game got away from us,” said shortstop Michael Patrizio, who filled in for Pronti in the remaining two games of the series. Despite the Bulldogs deafening seven runs, they tacked on four more between the fourth and the fifth to silence the Colonels. Even though Wilkes scored in the bottom of the eighth, DeSales shut down any run at a comeback attempt for the Colonels, allowing their starting pitcher John Poccia to close out the eighth and have Zac Vitorelli come in just for the ninth to get the job done. However, Saturday proved to be a different set of games for the Colonels, going into extra innings for both games of the doubleheader to make for a long and eventful day. From the first inning on Saturday, the Colonels game-play shifted from the dreary day prior. With two outs, Capozzi walked and realigned the Colonels’ momentum, leaving a job to be done by Reno in the four-hole. With a homer to left-field, Reno gave Wilkes the two-run advantage and a lead for the first time in their series against DeSales. Reno reiterated Patrizio’s sentiments, highlighting the importance of quality pitching that allows defense to win games. 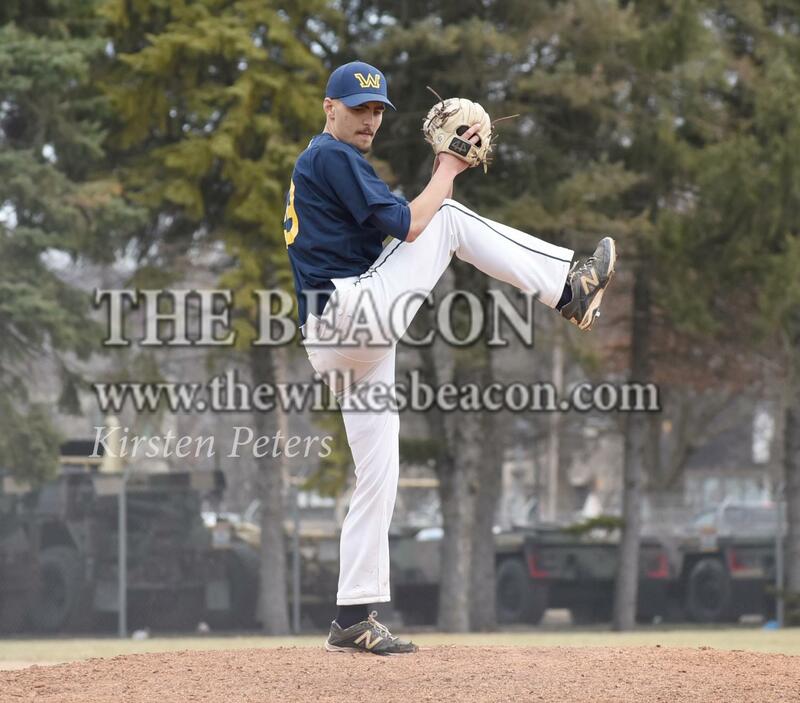 With freshman JT Hibschman on the mound, the newbie snagged his second victory of his young career, following his standout performance that earned Wilkes their 6-0 victory in game one against Eastern. Going for 7.2 innings and only allowing the final third of the game to be finished by sophomore pitcher Andrew Indzonka, Hibschman struck out four batters and kept the Bulldogs to four hits and three runs in the low-scoring game. Harder, who found himself as the lead-off batter for the game, stretched the Colonels’ lead to 3-1 in the third inning with a single to centerfield that allowed him to score on Capozzi’s sac-fly to center. With a .571 batting average on seven at bats and a walk, Harder led Wilkes’ offensive stats for the DeSales series. However, a tight hamstring prevented him from playing in game three. Despite the Bulldogs’ ability to tie the game up at three in the bottom of the sixth, the Colonels pushed the first game of the doubleheader to the top of the eighth. With one out, three consecutive walks left bases loaded for Patrizio. A sac-fly to centerfield did the job and allowed junior Matthew Reinert to tag up from third and cross the plate for the 4-3 victory. In the second game of the doubleheader, DeSales and Wilkes competed in the same fashion – low scoring and into extra innings. With freshman Gage Coudriet on the mound, who previously helped Wilkes defeat Misericordia 11-3, only one run was put on the board by the Bulldogs in the bottom of the third. The Colonels answered with a run of their own in the top of the fifth to tie the game up. Wing doubled to left-centerfield and pinch-hitter sophomore Bryan Nifenecker fulfilled his role with a productive groundout to the right side that scored Wing for the 1-1 tie. However, that proved to be the Colonels only run, as DeSales secured the walk-off victory in the bottom of the eighth, winning not only the game 2-1 but also the series 2-1 over Wilkes. With playoffs already on the horizon for the Colonels, their series against Manhattanville, which starts on Friday at 3:30 p.m. at Wilkes’ Artillery Park, could be the Colonels next stepping stone toward their goal. “We battled and gave it all we had against DeSales, and I’m excited to get back to work this week and take down Manhattanville starting on Friday,” said Patrizio. To follow the Colonels non-conference matchups, Wilkes will play back-to-back games against Marywood and Cabrini on Tuesday and Wednesday at 3:30 p.m, respectively. 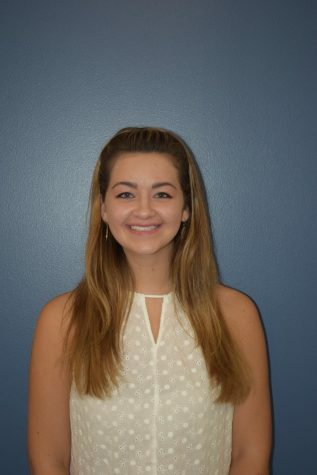 Kirsten Peters is a sophomore communication studies major with concentrations in multimedia journalism and broadcast production.